10 Attractive natural wood Colors from the deepest most luxurious dark oak & teak shades to the light popular look of antique pine, all of which can be inter-mixed to form an endless array of colours. Antique Pine-Light Oak-Medium Oak-Dark Oak-Light Teak-Dark Teak-Brown Mahogany-Red Mahogany-Walnut-Ebony. COVERAGE: Up to 6 square metres per 250ml depending upon absorbency of wood. Easy application & does not raise the grain. 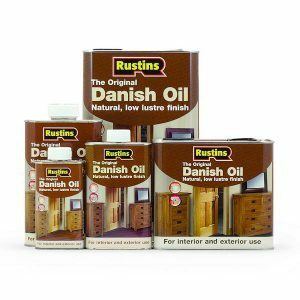 An organic & inorganic pigment & binder dispersed in hydrocarbon solvent these dyes are ideal for all bare wood, new & stripped, interior & exterior. Can be recoated in 2-4 hours. COVERAGE: Up to 6 sqmt per 250ml depending upon absorbency of wood. 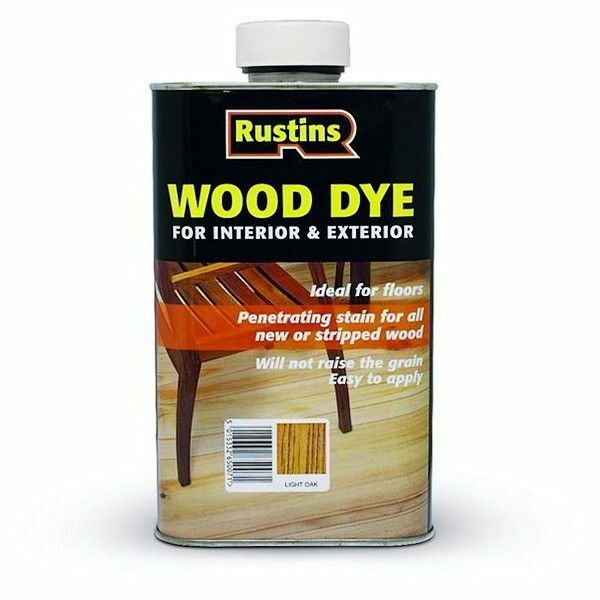 Because Rustin’s Wood Dyes are transparent, the final colour depends on the original shade of the wood and the type of finish applied over the dye. For application to bare wood, all types of wood, new and stripped, interior and exterior. The surface should be clean, smooth and dry. It is best applied using a clean rag, apply an even wet coat and wipe off the excess. The result will be much darker on softwoods than on hardwoods therefore it is advisable to stain a test area first. For a lighter shade dilute with White Spirit, for darker shades apply a second coat after 2 hours. Usually 1 application is sufficient. 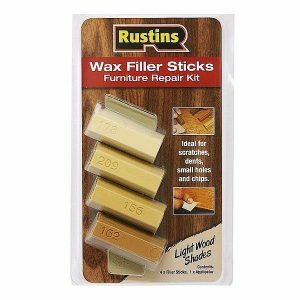 Rustin’s Wood Dye can be readily mixed with Rustin’s Polyurethane, Teak Oil, Danish Oil and Grainfiller at whatever proportions are desired. If any more than 20% Wood Dye is added the final build may become poor. The resulting colour will be lighter because the dye is diluted, testing on spare wood is advised. 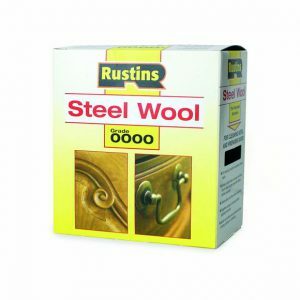 Rustin’s Wood Dye can also be added in small amounts (up to about 5%) to Rustin’s Plastic Coating. 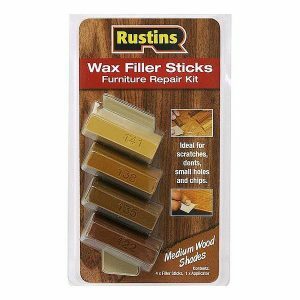 It cannot be added to Acrylic Varnishes or French Polishes.